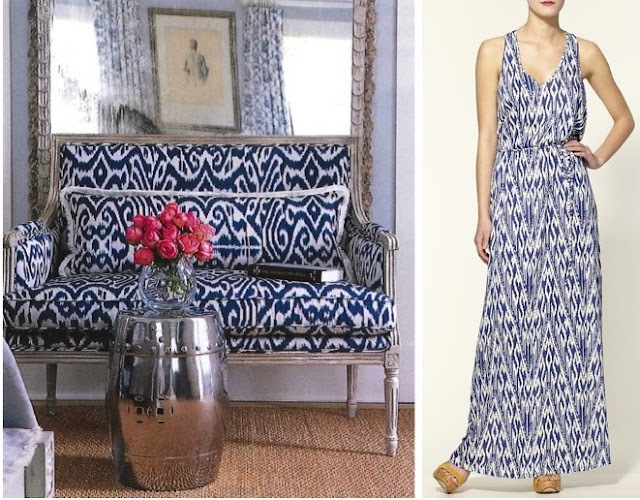 Every year when the weather warms up I start thinking about adding touches of ikat to my apartment. Currently the tribal inspired motif is making its way into my heart fashion wise as well. Love it! 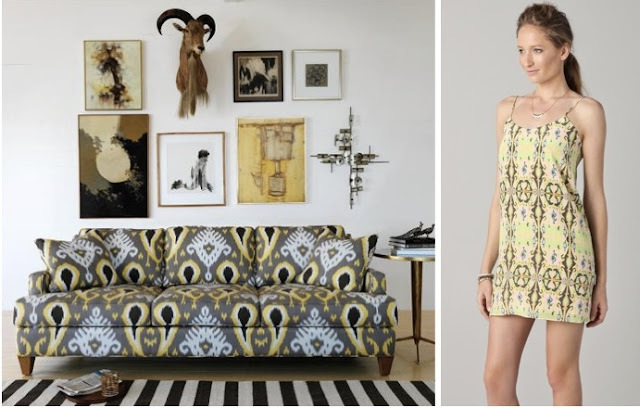 Ikat prints are great! Bought some Ikat pillow cases last year..
That is just amazing! Oh my god truely inspirational! 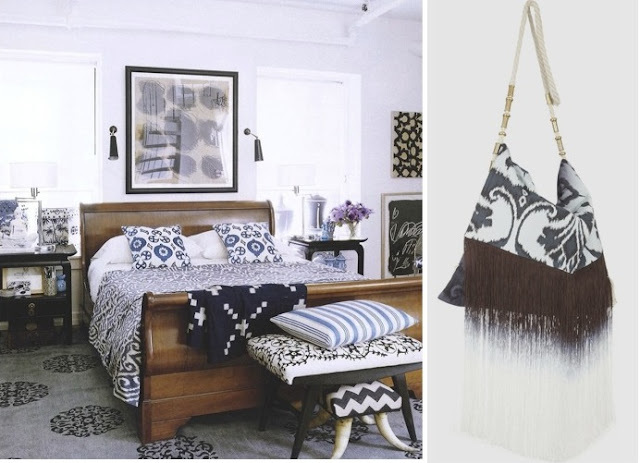 Huge fan of ikat! What a great touch to add to an apartment this time of year!! 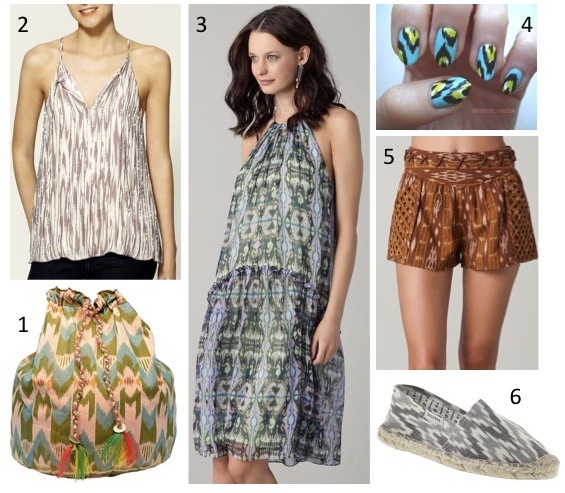 I have been thinking about adding some ikat to my wardrobe for spring. Thanks for the added inspiration! If I could afford it, I would love to change my house decor according to the seasons. Le sigh...tree that grows money, where are you!?! LOVE this post! 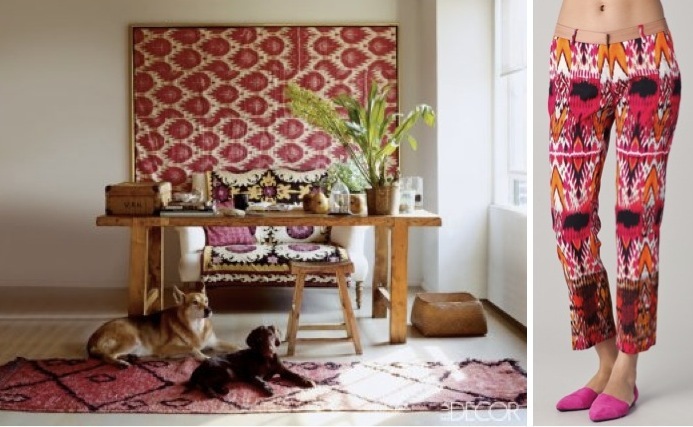 I love anything Moroccan inspired and an Ikat print is my absolute fav! Thanks for the inspiration! Super cute post! Love the incorporation of the prints to furniture! SUCH pretty pictures! very inspiring! I think your blog is unique :) You got one follower more ! I love this print... those maxi dresses are gorgeous! great post..i like the print of pants and furniture in the second picture!! Beautiful prints!Love the blue print dress picture from Elle Decor. Thanks for following! Following you back! That Elle image is amazing! Cool concept for a post. I'm recovering some great entryway chairs in an ikat fabric right now. Love ikat so much! Great post! P.S. Can you tell me what kind of sunglasses you are wearing in your blog photo? I need/love them!!! Those prints are so beautiful! love this post. What a great collection of side by sides. Come Spring, I start thinking about colour. The blue & white is great! Hope you had a great day! Love all your picks. SUCH A GOOD EYE!!!! Nice clothes and interior design! Very nice work!!! !I follow you form now on! !hope to see you at my blog!! This is such a nice pattern! I have a maxi dress in Ikat print and love it!! You have a beautiful blog!! I am glad I found it..I am following you now! Hope you are having a wonderful day! I just did an ikat post as well- love! I love that Ikat couch!